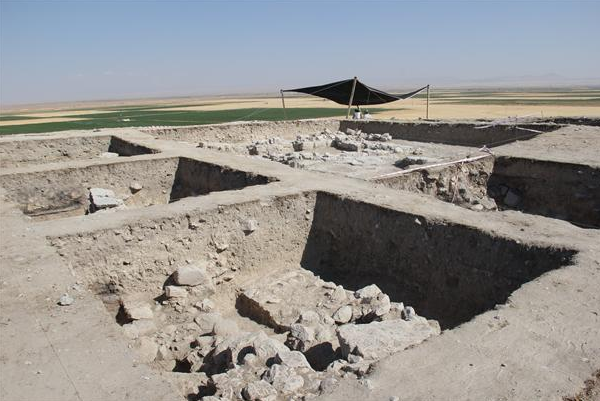 A structure that is believed to have served as a possible early Christian religious place has been discovered in archaeological excavations in the ancient city of Derbe, in the Central Anatolian province of Karaman. 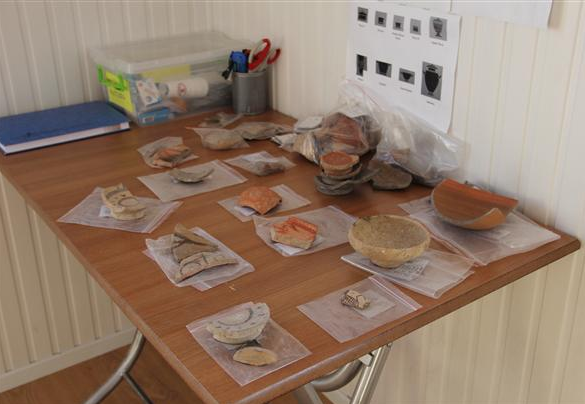 Karaman Governor Murat Koca, who visited the Derbe tumulus close to Ekinözü village, said a team from Selçuk University was continuing excavations with support from the Culture and Tourism Ministry. Koca said they had information that Saint Paul had come to Karaman in the early period of Christianity and lived in Derbe. “We think the place where he lived is this tumulus. Works are continuing to prove this fact. 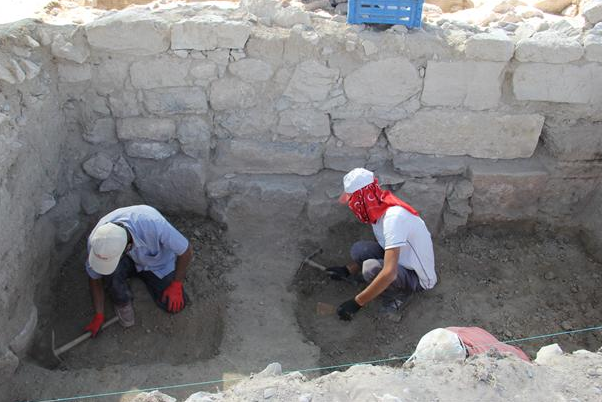 This excavation has much importance to Karaman, because if we can find a work from the early period of Christianity, this place will be an important center for faith tourism,” he said. Another excavation official, Selçuk University member Associate Professor Mehmet Tekocak, said they had been working in the area since July 8. “Old researchers document that a very important person for Christians visited a place here. We want to prove that this place was the ancient city of Derbe. If we can, this region will be one of the places visited by Christians. We know that Christians visited this tumulus to make pilgrimages, and tours also began coming here after excavations began. They told us that they had been waiting for this day for years,” Tekocak said. So far the excavations have unearthed ancient wall remains. “There are brick and stone walls. We found graves and skeletons inside the walls. 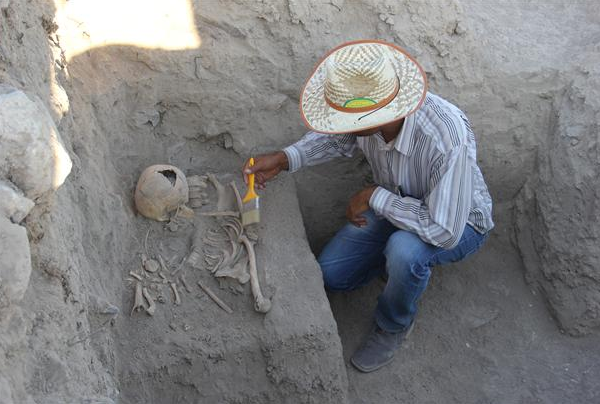 Anthropologic works will reveal the ages and genders of these skeletons and how they died. Works show us that this place received a lot of damage, and most architectural materials were removed for use in other places. This place was seen as a kind of stone quarry. We found the remains of a church-like structure, and we believe that we will find new structures as excavations continue. Even these remains alone show us that a Christian society lived in this tumulus,” Tekocak said. He added that according to old researchers and travelers, the ancient city of Derbe was located in front of a lake or a river, and this definition was suitable for the tumulus. “We have two stones with writings on them. The writings talk about the ancient city of Derbe. This is why we are looking for Derbe here. This is a new excavation. We find ceramics from various eras. We can say that the findings date back to 8,000 years ago in this tumulus. Works will continue for three years, then we will evaluate the data and prepare new projects. But the initial findings show that this tumulus has something that could draw the attention of the whole world,” said Tekocak.